Expectancy Learning Blog What Is Soft Skills Training? Organizations are facing a growing soft skills gap. Educational institutions and employers are placing a greater emphasis on technical skills than ever before, causing soft-skill development to fall behind. In our last article, we discussed the need for soft skills training in the workplace. Today, we want to dive a little deeper into what this training might include, and how to best administer it. Leadership skills do not come naturally to everyone, but they can be taught, nurtured, and improved upon! As a leader, it is important to learn how to inspire, empower, organize and manage employees. Even if you are not in a leadership position, these skills will still benefit your relationships at work and promotion potential. Strong verbal and non-verbal communication skills are essential to success. 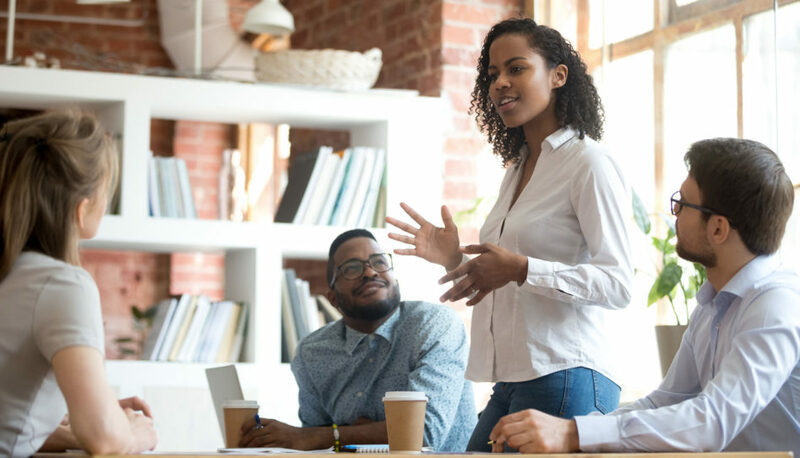 Organizations can provide their employees with training around effective listening skills, empathy, and presentation skills. Effective collaboration enables team productivity. Organizations can provide their employees with resources on how to build and manage successful teams, how to embrace individual differences, how to effectively delegate responsibilities and how to build positive interpersonal relationships. Time management is another soft skill that often slips through the cracks. Organizations should put expectations in place and provide resources for individuals who may be struggling in this area. Time management training could include topics like planning and scheduling, accountability, adaptability and punctuality. Effective decision-making skills are crucial to the future of your organization. Employees must learn to quickly dissect, analyze, and solve problems by thinking critically. Other soft skills that will increase the likelihood of success are creativity, innovation, providing clients with excellent customer experience, managing career development and finding work-life balance. We see a lot of value in delivering soft skills training solutions through an online learning portal. A system like Expectancy, that is designed with the user experience in mind, allows learners to access this training content at anytime, anywhere, and on any mobile device. Learners are more likely to engage in training resources when it is easily accessible. Although organizations can benefit from soft skills training at any time in the talent lifecycle, we recommend it be built into an employee onboarding program. Training your employees on your soft-skill expectations right off the bat will increase their confidence in their first projects. This can be especially valuable for employees who are just entering the workforce. Building good habits early on sets employees up for success and helps minimize future roadblocks. Don’t fall into the trap of waiting for your employee’s soft skills to develop on their own. Be proactive by offering them valuable soft skill training early on in their journey at your organization. In the end, it will increase productivity, job success, morale, and ultimately, your bottom line.